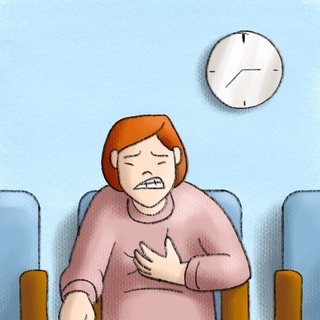 While chest pain in the outpatient setting is most commonly due to gastrointestinal, musculoskeletal, or “nonspecific” causes, primary care providers need to assess the likelihood of underlying cardiac disease quickly and effectively. Putting together clues from the history and physical exam, knowing when to order an EKG, and using a validated clinical tool for the outpatient setting like the Marburg Heart Score can help us figure out when to reassure our patients versus when to pick up the phone and dial 911. The main outpatient lab in Ontario does not run troponin tests. I also wonder about the medicolegal implications of ordering a test that is used to evaluate for acute ACS and sending that patient home, as well as the follow-up difficulties if the test results after hours.